The current season of The Bachelorette is well underway, but there’s a new reality dating show on the horizon that UnREAL’s Quinn and Rachel would probably love to sink their teeth into. According to Deadline, Logo has greenlit Finding Prince Charming, a dating series for gay men. 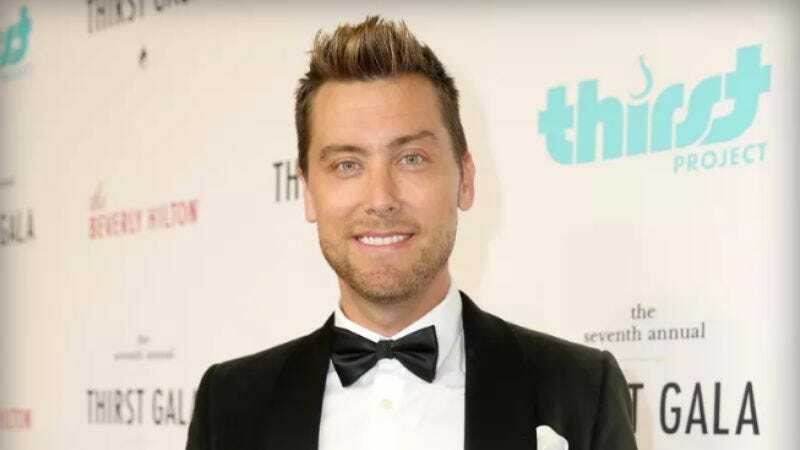 The contestants will be competing for the hand of America’s Most Eligible Gay Heartthrob on a love journey hosted by America’s Most Boring Gay Man, Lance Bass. Finding Prince Charming is currently in production and will debut on Logo this fall. Thirteen suitors will live in a house together as they try to woo the not-yet-known eligible gay bachelor, who will eliminate suitors one by one until he finds The One. So yeah, anyone familiar with The Bachelor/The Bachelorette will recognize the format, but Finding Prince Charming obviously differs from those by breaking out of their heteronormative confines. Let’s see if it manages to be less white than those, too. While they’re still rare, Finding Prince Charming isn’t the first gay dating reality show. In 2003, Bravo aired Boy Meets Boy, a reality dating show in which 15 potential male suitors competed for the affections of a gay bachelor. Boy Meets Boy only aired for one season.